We had some nice fish reported to us in November from all over the world. In total, we had 66 Marlin over 500 lbs reported, with the majority (38) coming to us from the Great Barrier Reef. November was absolutely dominated by Granders and not just from the Great Barrier Reef. We had two Grander Blue Marlin reported to us from Ecuador and Samoa as well as twelve (12) Grander Black Marlin, all from Australia. The Top Blue Marlin destination was oddly enough still Kona, HI with 6 Blue Marlin over 500 lbs caught. Bazaruto, Mozambique also came in strong on Black Marlin, catching eleven (11) over 500 lbs.But of course, nothing came close to Cairns, Australia with 38 Reported 500+ Black Marlin, including those twelve (12) Granders. Our top boat for November 2011 was Top Shot with Captain Ross Finlayson. He and his crew released 7 Black Marlin over 500 lbs, including 2 Granders! Well done boys! We want to thank everyone who submits their reports to us. 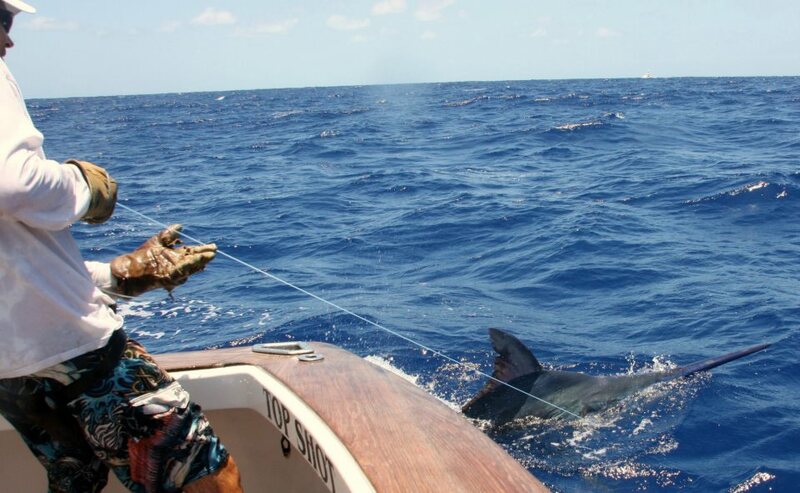 Should you have a marlin worthy of adding, plus email us at hook@billfishreport.com or john@billfishreport.com and we would be happy to add your catch. I always enjoy seeing this monthly list. I rarely see fish from Panama on the list. I have to think that you are not getting many reports from Panama. There must be several 500 pound plus marlin released from Panama each year. Aaron – You are correct on Panama. We get a few from Tropic Star Lodge and Panama Sportfishing Lodge, but probably well below the actual. I am sure we missed some Granders too! Our goal is to get them all, so let us know (as you have done in the past) if you know of any.